In the drawing carbon has four bonds. A single bond to the other carbon and a triple bond to the nitrogen. E. has six bonds not four. It shows the splitting of the s orbital between 4 p orbitals Carbon has only 3 p orbitals. Per VSEPR theory, a carbon atom that has two electron domains should have a linear electron geometry. The molecule will be linear with a bond angle of 180°. The nitrogen atom also has two electron domains: the lone pair and the triple bond to the carbon. 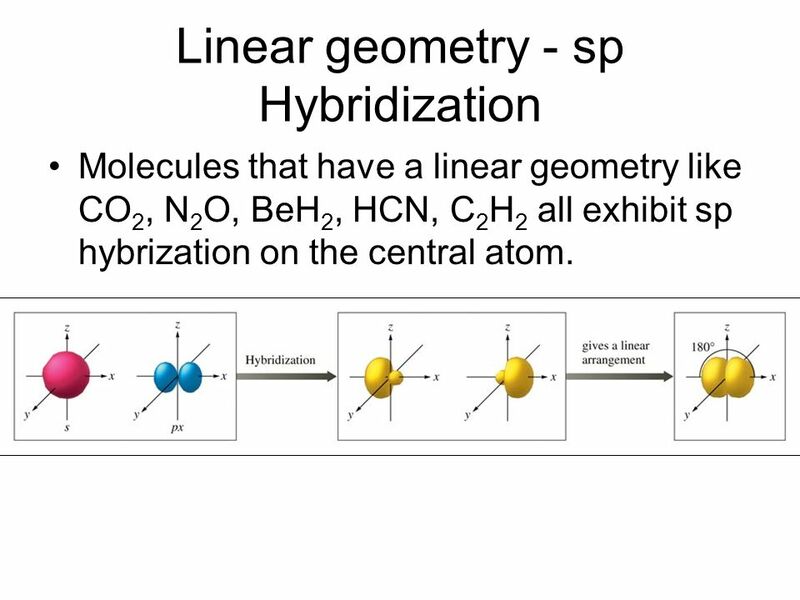 Linear electron geometry corresponds to #"sp"# hybridization. Since both #"C"# and #"N"# are #"sp"# hybridized, the #σ# bond between them consists of #bb"sp/sp"# overlap.